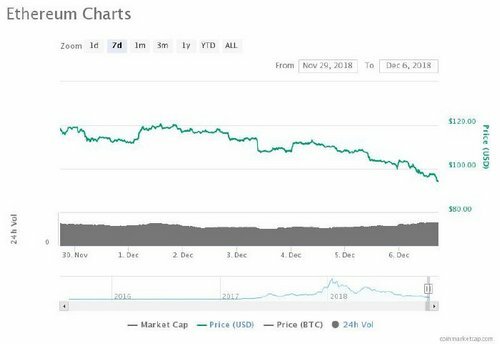 Thursday, Dec. 6: Cryptocurrency markets have continued yesterday’s losses, with just two of the top twenty coins seeing any gains, according to Coin360. Bitcoin (BTC) is down 3.13 percent the day, seeing a high of $3,887 and low of $3,587. At press time, the major cryptocurrency is trading around $3,656. The second largest virtual currency by market capitalization Ripple (XRP) is trading at $0.320 at press time, down 5.36 percent on the day. 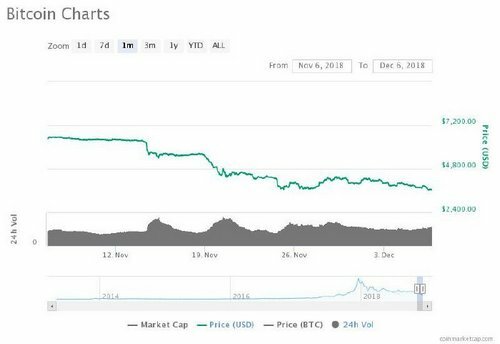 The altcoin’s market cap is around $12.7 billion, while its weekly high point was $15.3 on Nov. 30, according to CoinMarkerCap. 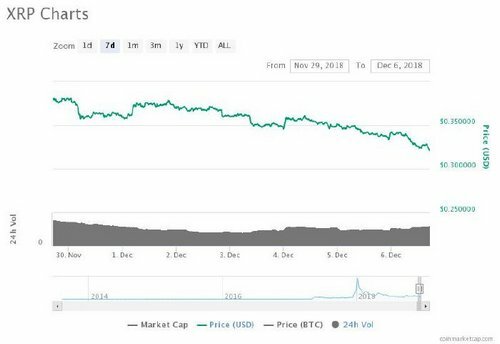 Ethereum (ETH) have lost 7.85 percent in the last 24 hours, dipping below the $100 mark for the first time during the past month. The coin is trading around $95 as of press time. 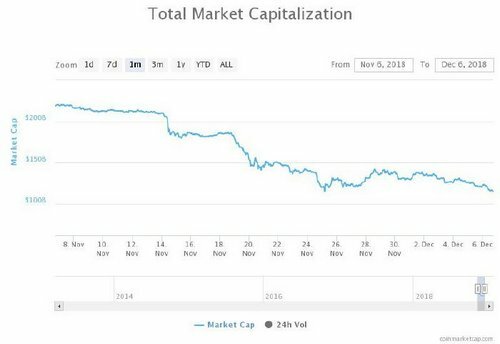 ETH’s market cap is $9.7 billion at press time.